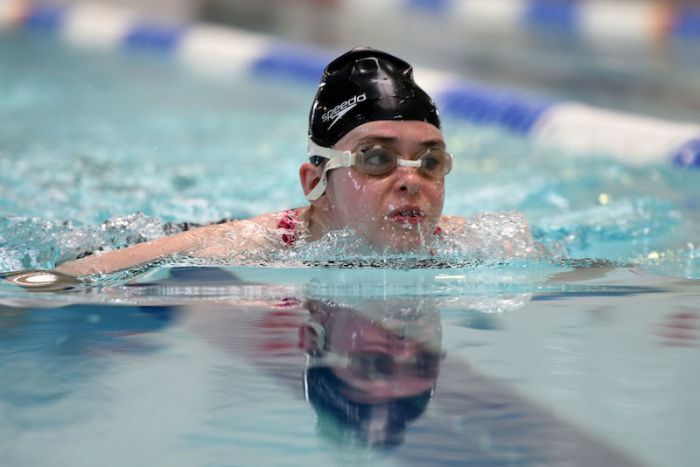 Findings published in a new report by leading national charities, Women in Sport and British Blind Sport, highlight a need for providers to improve their activity offers for blind and partially sighted women. The report titled – Small Changes, Big Difference, is the first of its kind to explore how sport and physical activity affects the lives of visually impaired women. It looks in depth at their motivations and barriers to becoming more active, and the specific challenges visually impaired women can face when accessing sporting opportunities. Sport England’s Active People Survey 10, 2016 confirms that 1.6 million fewer women than men currently take part in sport or physical activity once a week. This gender participation gap is also true for visually impaired women. Only 9.3 per cent of women with a visual impairment are active once a week for 30 minutes or more, compared to 11.7 per cent of visually impaired men. Women in Sport and British Blind Sport are keen to use this new insight and work in partnership with providers to help increase participation of visually impaired women in sport and physical activity. The report sets out five clear recommendations for providers about how they can better engage with visually impaired women and encourage them to be more active. By making small changes to their service offers, providers can make a big difference to the lives of visually impaired women. Signpost in innovative ways– use a range of communications methods and platforms already being accessed by the visually impaired community and ensure sources of information are kept up to date. Small changes make a big difference– make small amendments to existing processes and offers. This will enable more visually impaired women to enjoy the benefits of being active. Be prepared to accommodate for additional needs. Don’t hide behind the rules– Engage in conversation with visually impaired women about their capabilities and potential risks involved. Provide training and resources for frontline staff so they can make accurate assessments of an individual’s abilities. Empower women to come back– Provide a positive first experience. A good induction programme or tour of the facilities can help visually impaired women overcome confidence issues and safety concerns, and encourage them to return. Take a personalised approach– Get to know your customers as individuals with different circumstances and lifestyles, rather than someone who is simply blind or partially sighted. Position activities to appeal to the core values of women. “To be able to understand how to help visually impaired women live more active and healthy lives, it’s imperative that firstly we understand their barriers and perceptions around sport and recreation. “We know from our previous research – Understanding Women’s Lives – that by being better aligned with the values in women’s lives, sport providers will be better positioned to engage women and girls to take part. This research delves deeper into our understanding by focusing on this specific group of women. “Through this new research we have learnt about the important similarities and differences in the barriers and motivators affecting visually impaired women when it comes to playing sport and being physically active. Small Changes, Big Difference recommends easy to implement, insight-led changes for activity providers. These small changes can have a profound and positive impact of the lives of visually impaired women, empowering them to be more active and enjoy the benefits of sport. To download and read Small Changes, Big Difference report in full, please click here. Be the first to comment on "Report calls for change to improve activity opportunities for visually impaired women"